Way back in high school, I took French because I was sure that I was going to play hockey and wanted to be able to talk with my French-Canadian teammates. Obviously, that didn't end up happening. I really do wish I'd kept up with my French, though. 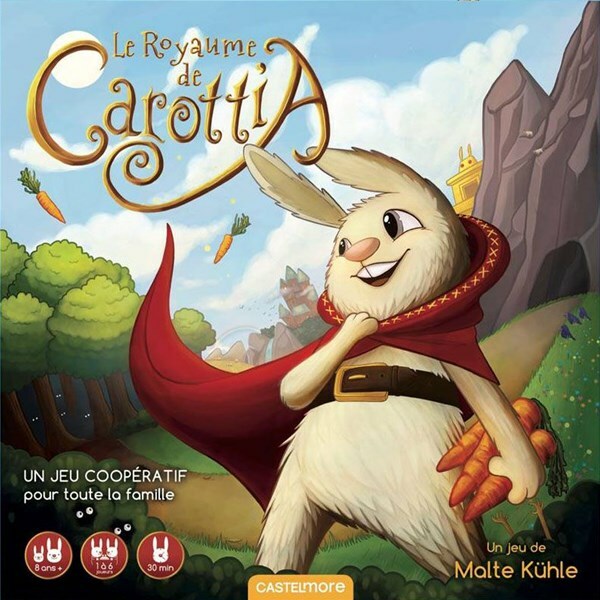 For those that do know French, and possibly only know French, you'll be happy to know that Mage Company has teamed up with Bragelonne to release their Carrotia game in French. Independent house, directed and animated by lovers of this literature where the imagination is all powerful, Bragelonne proposes the most complete catalog and the most varied in the field of the Fantasy: classics, such as the novels of David Gemmell, Terry Goodkind, Raymond E. Feist or Terry Brooks, and those of authors in the process of becoming inescapable: Trudi Canavan, Fiona McIntosh, Peter V. Brett, Patrick Rothfuss, Brent Weeks, Col Buchanan … This richness is not only the preserve of Anglo-Saxon authors since we have German feathers (Markus Heitz), Polish (Andrzej Sapkowski – winner of the David Gemmell Legend Award 2009) and, of course, French: Ange, Pierre Pevel or Henri Lœvenbruck. The other genres are not left behind thanks to the collections “Bragelonne SF” and “The Shadow of Bragelonne”, each bringing together the biggest names: Arthur C. Clarke, Peter F. Hamilton or Richard Morgan on the one hand, Graham Masterton, James Herbert or Clive Barker on the other hand. The Bragelonne adventure continues today with our two labels: Milady, which proposes to extend these literatures with a vast offer of paperbacks and comic books, and Castelmore, more particularly dedicated to teenagers and young adults readers looking for ‘evasion.